Eleanor is a 12-year old girl who was adopted from China when she was 9 months old. She was originally referred 2 years ago by her school's learning specialist due to concerns regarding poor decoding and spelling skills. 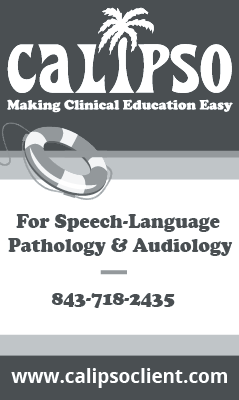 At that time, Eleanor was administered the SPELL-2 assessment and subsequently underwent a full language and literacy evaluation by a private practice SLP. She has been receiving weekly language and literacy intervention sessions with the private practice SLP targeting vocabulary, syntax, reasoning, and reading and spelling. Reading and spelling intervention has been provided using the SPELL-Links to Reading and Writing Curriculum. The SPELL-2 assessment was recently re-administered to Eleanor in preparation for transferring services to you. You will be taking over Eleanor's case and providing intervention with the SPELL-Links Curriculum at your private practice. This simulation is presented in partnership with Learning By Design. Eleanor’s average clinical clock hour time for mastery level competency is 180 minutes. Bubby is an eight-year-old boy who has been attending outpatient speech therapy for the past nine months. You are the speech-language pathologist scheduled to see Bubby today for therapy. Bubby’s average clinical clock hour time for mastery level competency is 45 minutes. You are the speech-language pathology assistant assigned to work with Alex. Alex is an 8 year-old boy with a speech sound disorder. Please complete your intervention and then report your findings. This simulation was funded through a grant from Alexandria Technical and Community College. Alex’s average clinical clock hour time for mastery level competency is 75 minutes. Jack is a 16-year-old male who is a junior in high school. Jack has a fluency disorder. You are the speech-language pathology assistant assigned to provide intervention to Jack. Jack’s average clinical clock hour time for mastery level competency is 75 minutes. You are a speech-language pathology assistant and assigned to work with Kyle. Kyle is a six-year-old boy with a receptive and expressive language delay. Kyle’s average clinical clock hour time for mastery level competency is 75 minutes. You are a speech-language pathology assistant and assigned to work with Anna. Anna is a 4 year-old girl with single sound errors. Please complete your intervention and then report your findings to your supervising SLP. Anna’s average clinical clock hour time for mastery level competency is 75 minutes.